After many breakout fiaschi and failed attempts to conceal dull, dry skin on my travels, I have mastered the art of keeping my skin happy on long-haul flights. 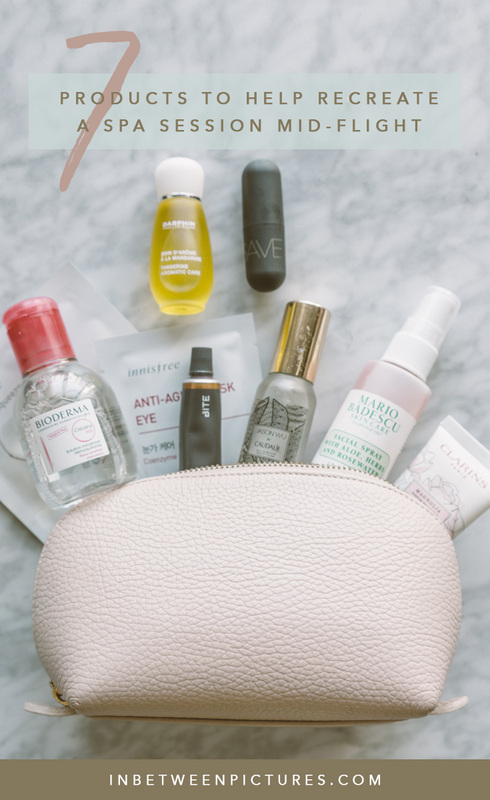 With zero shame, I start whipping out an arsenal of skincare products and fashion a mini spa session mid-flight – it’s 2019, and it's called self-care. Aside from drinking plenty of water, here are seven products that will help you get radiant skin even after a long haul flight. The Bioderma Sensibio H2O is the answer to all my prayers. The micellar cleansing water is powerful yet gentle on the skin. It removes makeup and impurities without leaving any sticky residue – unlike makeup wipes. God forbids you use bathroom water to wash your face! Once you have a clean canvas after wiping off impurities with the micellar water, spray a hydrating mist to help fight the overly dry air – you can also do this throughout the flight. Your skin will thank you for it. My favorite mist to help replenish my skin is the Caudalie Beauty Elixir. I have been using it for many years and, I recommend it all the time. Another more wallet-friendly mist that I really enjoy is the Mario Badescu Facial Spray. Mist sprayed, now on to your favorite sheet mask – My favorite facemask are from Dr. Jart +, Sephora (especially the Avocado Face Mask,) and Farmacy. They leave my skin hydrated and ready for landing! I’m glad to see the jade roller had finally made its way to the U.S. When I was younger, I got one on my trip to China and loved massaging my face with it. Although unaware of its real benefits, I used it all the time because of the cooling and relaxing sensation. Now that I’m wise and older, I can tell you all about its benefits. As soon as you remove your facemask, massage your face with the jade roller to tone your skin, de-puff, and improve circulation. It also helps your skin soak in the moisturizers and serums. And to lock everything in, a face oil! Add a few drops on your hands and rub them together to warm it up. Then, gently press it on your cheeks, chin, and forehead. At the moment, I’m obsessed with Darphin Tangerine Aromatic Care – a rejuvenating essential oil serum. The natural oil leaves my skin glowing, and it smells incredible, which adds to the spa vibes we are going for. Other favorites include the Biossance Squalane + Vitamin C Rose Oil and Korres Wild Rose Vitamin C.
Let’s not forget the lips! Apply a nourishing balm to keep them moisturized and glossy. On my last trip, my lips were desperately crying for help, went to Sephora, and asked for the best lip treatment. 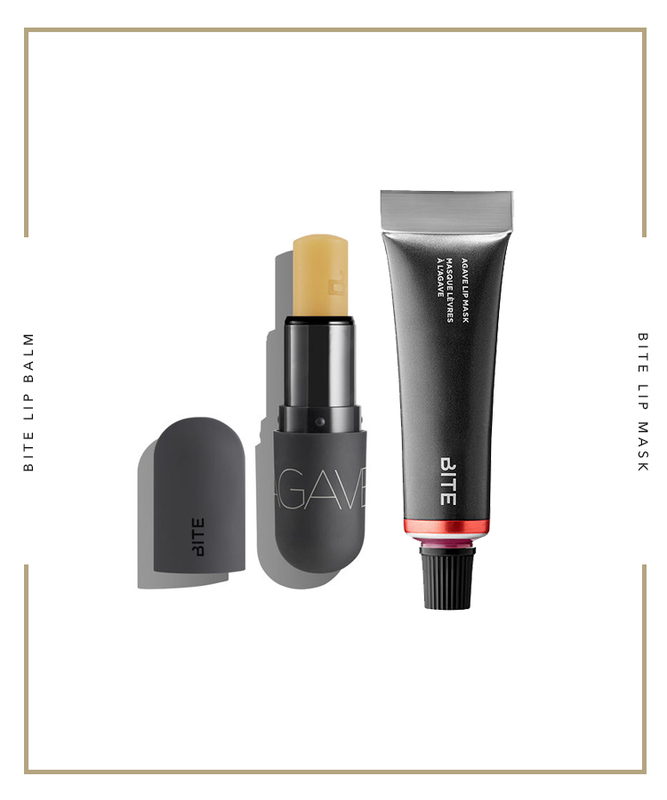 I was recommended Bite Agave Lip Balm. I never looked back. It is by far the most nourishing and protective lip balm I have ever used – it’s a must in my makeup bag. If you are planning to travel anywhere cold this winter, don’t go without it! It also comes in Mask format, which you squeeze out of a tube and apply with your fingers. Lastly, your hands! I like using hand cream on the heavier side while traveling because of my frequent use of hand sanitizer – am I the only one that sanitizes the entire plane seat? My favorite hand cream is the L’Occitane Hand Cream 20% Shea Butter. It’s not too greasy and it absorbers quickly. Another favorite is the Clarins Hand and Nail Treatment. And that completes our mid-flight spa treatment! Do you have any other recommendations? Let me know in the comment section.